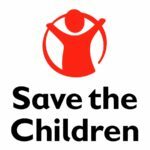 The aim of this post is to support Save The Children International (SCI) West and Central Africa (WCA) Regional Supply Chain Team in improving the quality of all its data analytics efforts, including data collection, analysis, reporting and knowledge management. Under the supervision of the Regional Supply Chain Manager, the selected candidate will contribute to providing the necessary business intelligence tools and processes to transform SCI WCA Supply Chain operations. She or He will also support any capacity building exercise to strengthen Country Offices Supply Chain capacity and share relevant best practices. Advanced level of computer literacy especially of Microsoft Excel (including pivot tables, program formulas, data analysis tool pack, etc). Able to process a big amount of data, produce micro and macro level analysis, and develop user friendly tools for management reporting and strategic decision making. Ability to communicate detailed information clearly and consistently via phone, written communication and in person. General understanding of Supply Chain Management. Motivated, dynamic, focused on details and well organized. Self-organize his/her time in a productive way, and need limit supervision in the routine tasks. Strong team player with the ability to work effectively with diverse groups of people. Good command of both English and French at working level. Prior exposure to the NGO sector will be considered an advantage.